A week and a bit ago, I was delighted to discover that there is a 1940s close harmony group in Edmonton called The Jivin' Belles - and I was even more delighted to meet up with them for a quick chat about their upcoming benefit concert for the Edmonton Humane Society. The trio - Emily, Kate and Mallory - have known each other for the past three years, as students at Grant MacEwan University's music program, but have only been singing as the Jivin' Belles for a few weeks. They're accompanied by a piano, stand-up bass, guitar and drums, played by fellow MacEwan students. 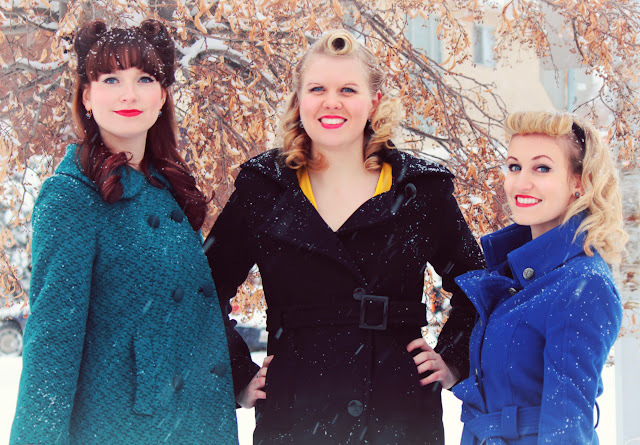 All three say they have an appreciation of close harmony and music of days gone by, and their Christmas repertoire is heavily influenced by Bing Crosby's tunes with the Andrews Sisters from the White Christmas album. "I grew up listening to 'White Christmas', and as a vocalist especially I think we're drawn to that tight,synchronized harmony. It's funny, because I'll show that record to some people and they're just like 'meh.' How do you not love this?!" said Mallory. "I think there is more precision in having to be in sync with two other people. It's that much more of a challenge, because it is completely synchronized to the millisecond. It's so admirable of the Andrews Sisters, that they were able to get it so exact." If you're heading to the December 15th concert, expect a wide open dance floor - the ladies hope that all attendees take advantage of the swinging tunes and get the dance floor hopping. And YES, a 1940s dress code is strictly encouraged (if you need to go shopping, you know who to call). The concert is December 15 at 7 pm at the Sawmill Banquet Hall. Check out details, including ticket information, here. That's awesome!!! 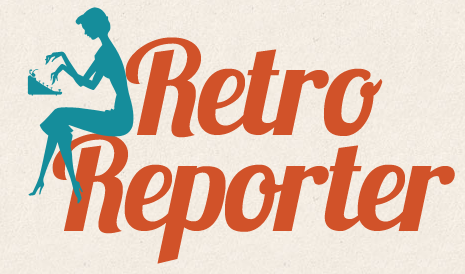 I absolutely love discovering new Canadian musical talents and all the more so if they're vintage related. Thank you very much for the terrific intro - off to like The Jivin' Belles on FB right this very moment.